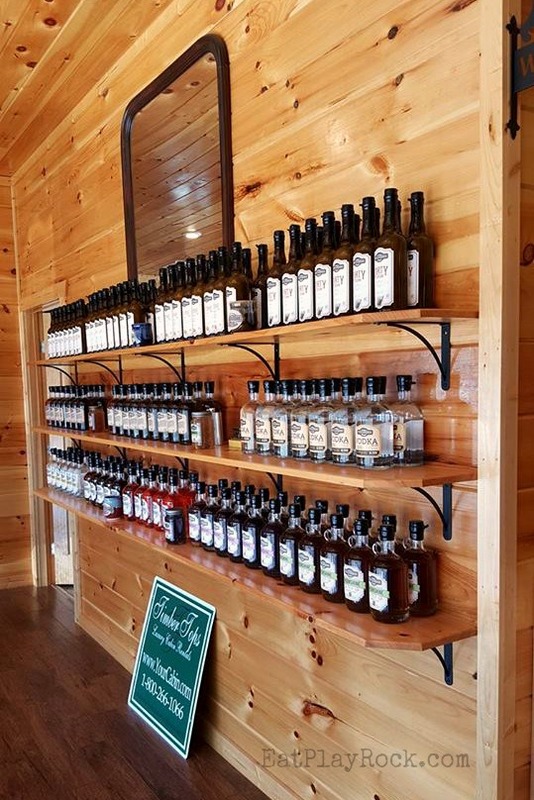 I tried several of their moonshine flavors including grape, coffee and salted caramel as well as a couple of their creams. 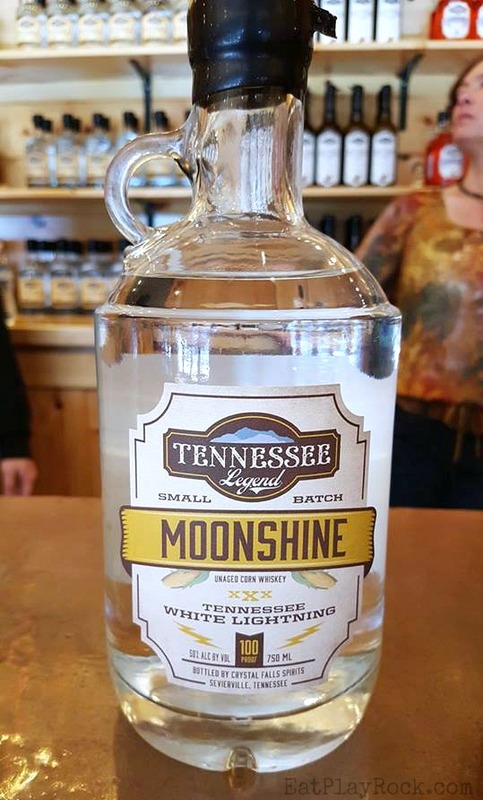 Before this media trip, I am not sure I have ever tried moonshine, so I was a little worried about whether it would be too strong for me as a relative “light weight” drinker. I don’t want something that tastes too much like alcohol. That was no problem because I really liked them all. Many of the other bloggers said that the blackberry was really good, too, but I was looking around the store and didn’t sample that one. I ended up buying some Coffee Moonshine to take home. It tastes a lot like a specialty coffee drink that you might buy in a coffee house. Yum! For me, it’s always coffee for the win. 🙂 And let me just say, I love the jug it comes in. In a hundred years from now when I am able to get all of the moonshine down, I will put that jug on top of my kitchen cabinet. 😀 I also bought one of their candles. It smells like Salted Caramel Flavored Whiskey. Yum. 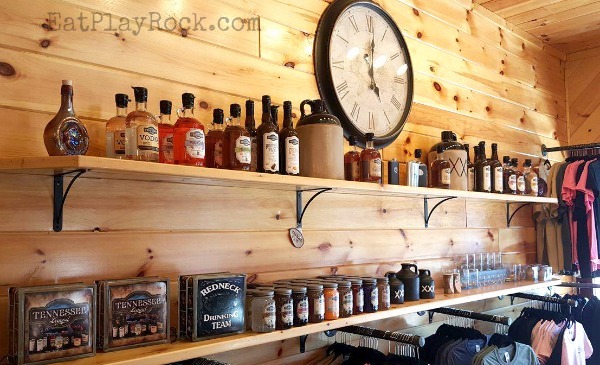 They have lots of other cool souvenirs, including shirts, pens, flasks and much more. 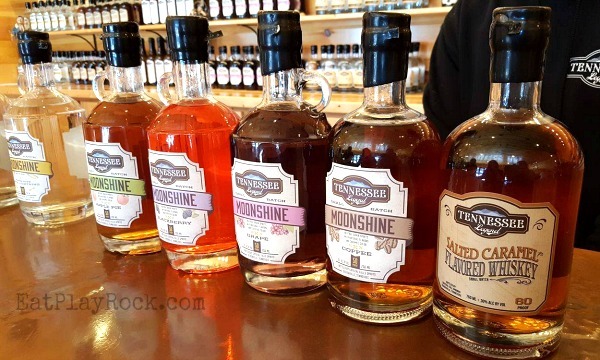 See more pictures from my trip to Tennessee Legend Distillery on Flickr. 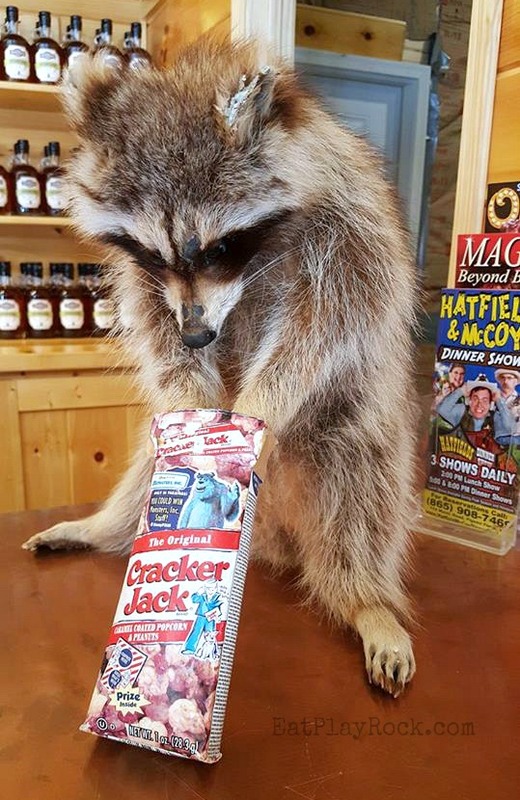 OMG, they have a RACCOON! That is so cool. I can’t believe Moonshine is legal now. It’s amazing, really. There’s such a history of crime and booze running associated with it. I tried moonshine once and man it is potent! I really want to try the cherry. That sounds like a fun place to visit during an adult weekend getaway. Thanks for sharing the little spot. It looks like a really neat place to explore. 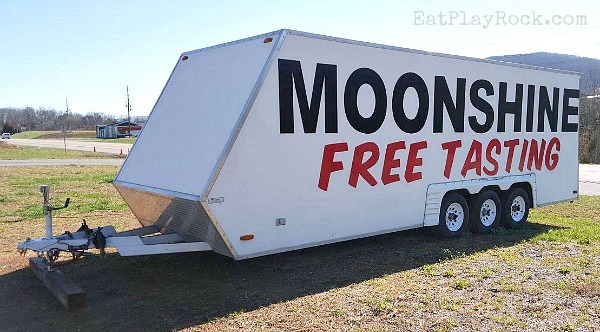 I have never tried Moonshine before, but I’d be open to tasting a sample! Interesting activity to do. I love sampling local wine, however, I live so far from Tennessee that I may miss this event. Maybe sometime when am in the area, I will make sure to try this. I’ve been loving trying the flavored moonshines available. They have some super delicious ones! 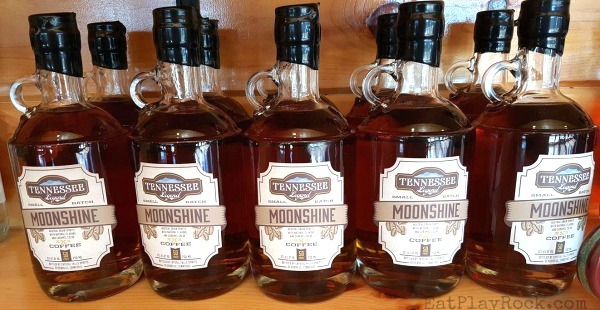 Coffee Moonshine? I have to try this. My husband and I will enjoy this for sure. This looks like it was lots of fun! I saw moonshine in the store recently, on an end cap. Fun that they have flavors. I have never been to a distillery like this, but would LOVE to someday. How cool!